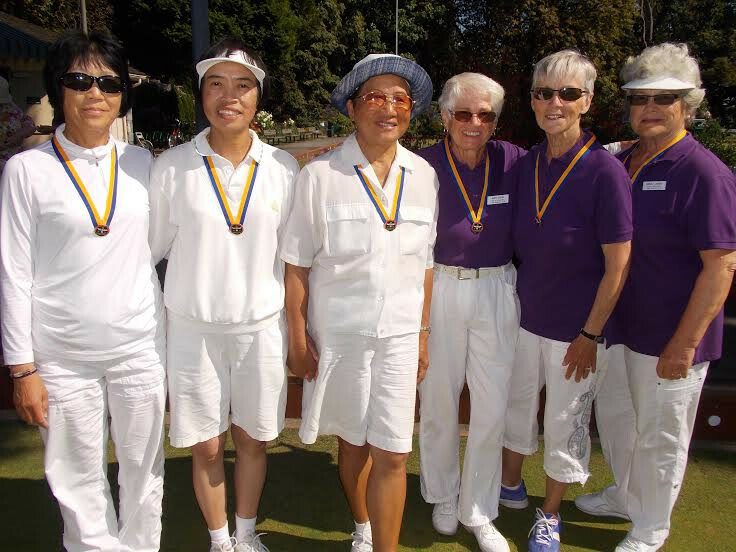 This year’s Mixed Pairs Championship took a move to the North Shore and hit the real grass of West Vancouver Lawn Bowling Club. With 27 teams entered, the greens were full top and bottom. Always the best in B.C. show up to this tournament to try and book another trip to Nationals – this year hosted at the Parksville LBC. 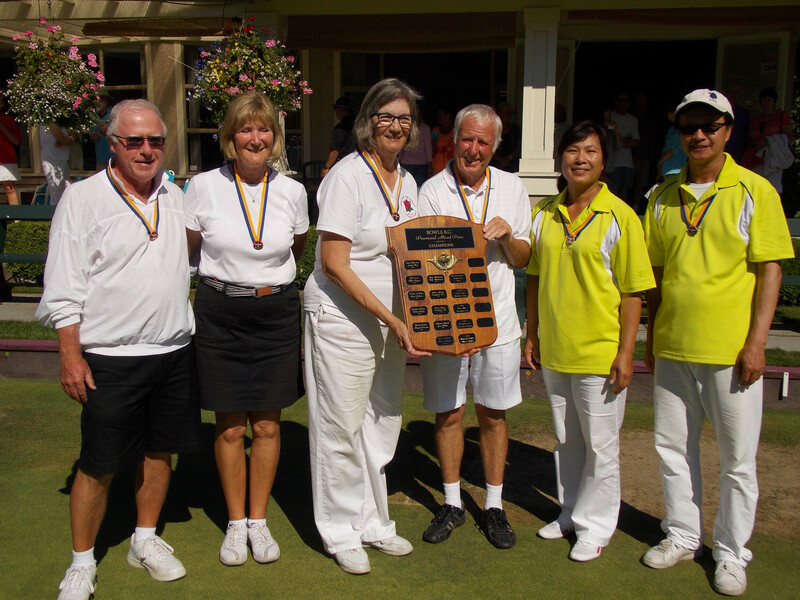 Long-time White Rock Bowlers but never partners, Marlene Cleutinx and Skip Christie Grahame walked away with the title, decisively, usually beating their opponents by wide margins. Because the 2014 Mixed Pairs Nationals will be in B.C. this year, silver medalists, Stephen Yung and Lisa Cheung will join the champions on the ferry trip to Vancouver Island as the B.C. ‘B’ team. Bronze medalist from the event were Rick Quibell and Mary Mulligan. They’ll join the Women’s Champions, On Kow Au, Shirley Lai and Rainbow Lung on a trip to Nationals in Montreal come Aug 31.